I was a little puzzled. I always think of organic items in the product and meat departments. 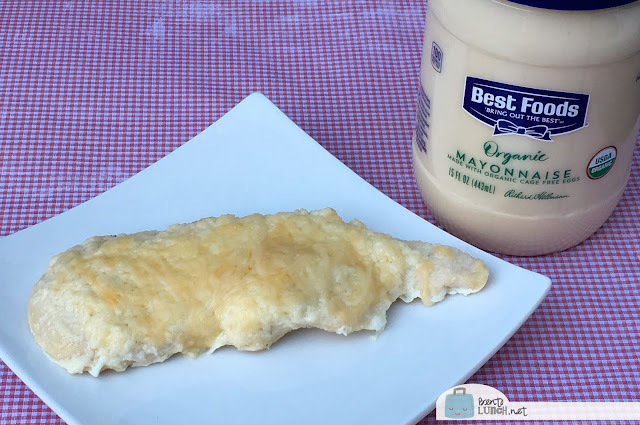 I was thrilled to learn that Hellmann’s/Best Foods new Organic Mayo is now available at Kroger stores! This yummy mayonnaise is made with cage-free eggs and organic expeller-pressed oil, plus contains no artificial flavors or preservatives. We had to try it, so we made a trip to our local Fred Meyer store to pick some up. Fun fact? Hellmann's is called Best Foods here in Washington and other places west of the Rocky Mountains. This is the first time we've lived on the West Coast, so this was new information to me! I grew up on the East Coast, then we lived in Texas for a number of year, so Hellmann's was the go-to brand. We, of course, had to sample the new Best Foods Organic Mayo on sandwiches, but I also wanted to cook with it. Rather than try out a new recipe, I decided to make a kid favorite around here--creamy parmesan chicken. We prefer thin chicken breasts for this recipe so they cook quicker. You can purchase cutlets or simply pound your chicken into thin pieces. 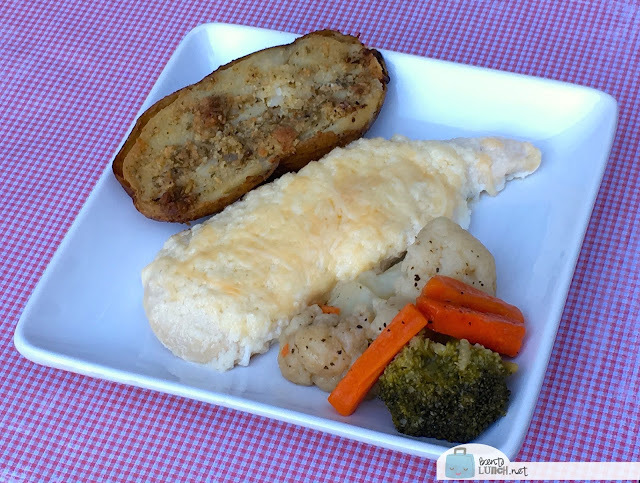 The chicken is topped with a yummy mayo-parmesan topping, then additional shredded parmesan cheese to form a crispy layer. Serve with fresh veggies, potatoes, or rice! In a small bowl, combine mayo and grated parmesan until well blended. 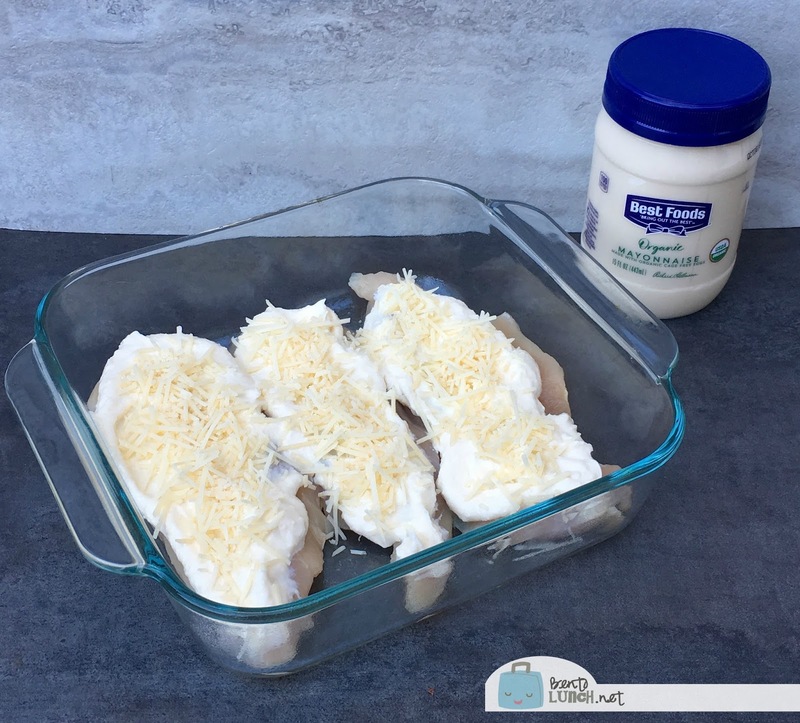 Spray a glass baking dish with non-stick spray and lay chicken cutlets in a single layer. Sprinkle with salt and pepper to season as desired. Spread the mayonnaise mixture on top of each chicken, coating exposed surfaces. Cover the pan with foil and cook at 375 for approximately 30 minutes, until chicken is cooked through. ***If you need to make more (or less) chicken, just use equal parts of mayonnaise to grated parmesan, and extra to sprinkle on top. Remember to keep the chicken in a single layer in the dish so it bakes all the way through. Would you like to try Hellmann's or Best Foods new Organic Mayonnaise? We have a coupon for you, good at your local Kroger store. Just click here or on the coupons above to get it for yourself! Looks delicious! Unfortunately, we don't have any Kroger stores where I live on the California Central Coast, but we do have Best Foods. Oh, that's sad! I love Kroger. We've had various ones in TX, CO, and WA. They make so many of my favorite in-store brands too.